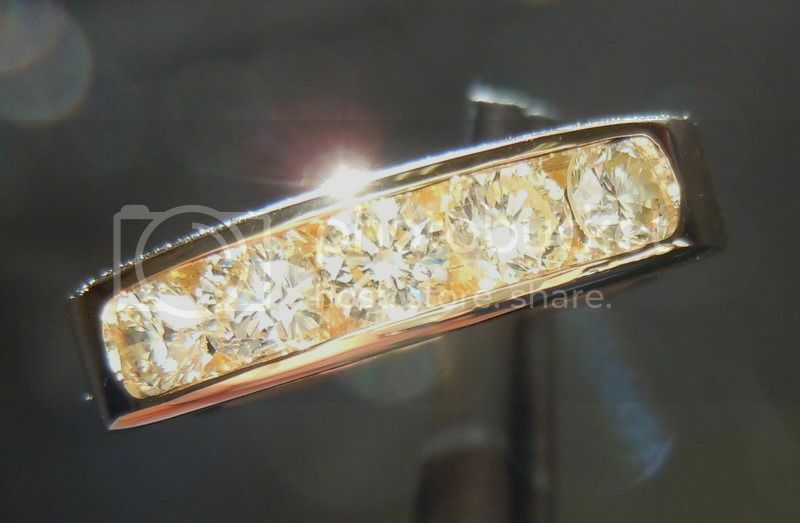 This is a beautiful five stone wedding band. 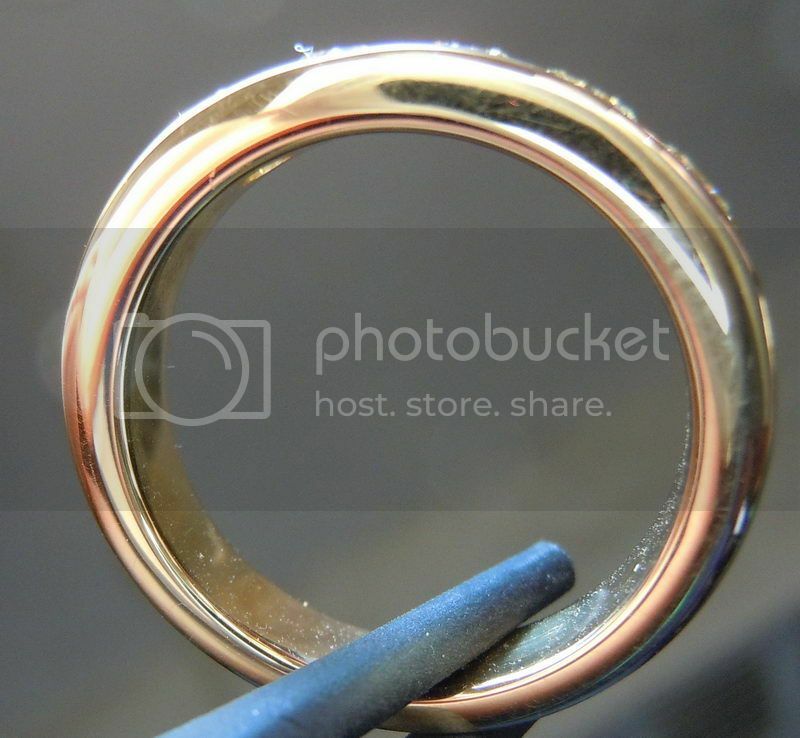 The quality on this ring is wonderful - smooth as silk with ultra clean work. The five diamonds on this ring all came from the same parcel of diamonds. They are well matched in size and color. They are a very lovely shade of ivory or a very soft yellow, if you will. They took on an even more yellow tinge now set. All are very well cut and full of sparkle. 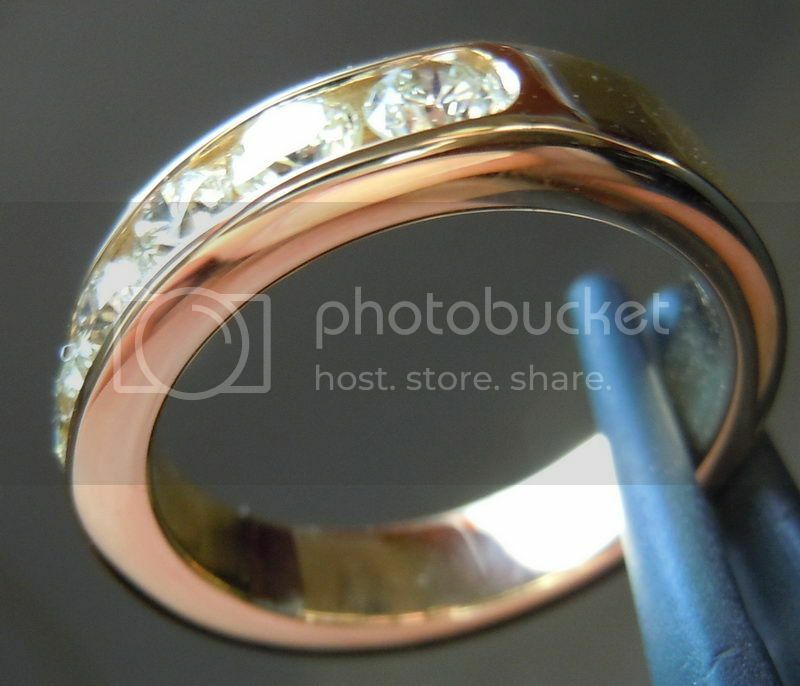 The ring is sturdy and comfortable to wear. 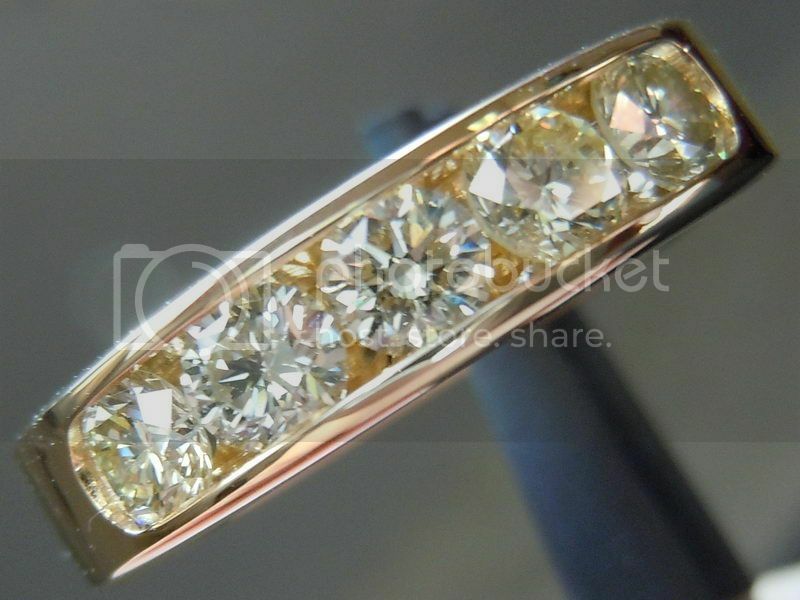 If you like these photos you will love this ring in person - we guarantee it!